I used to use Diffmerge for my merge/comparison needs, however I find the outdated interface to be unfriendly and ugly to look at. On Windows I use Sourcetree and Beyond Compare works without integration, it shows up in the appropriate dropdowns but on Mac it does not. I don’t understand why Sourcetree on Mac is different to Windows, but anyway. Fortunately, Sourcetree makes it easy to use third party comparison tools even if they are not in the dropdowns. Firstly, we need to install Beyond Compare “Command Line Tools” which allows us to call Beyond Compare. Go into the Beyond Compare menu and choose Install Command Line Tools. 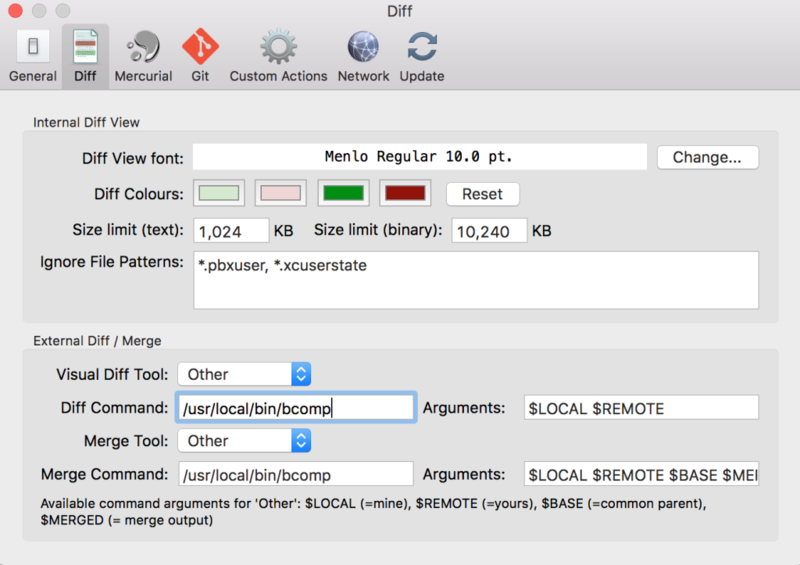 In Preferences and then the “Diff” tab, at the bottom there is a section which allows you to specify the compare tool. ← Does it Feel Like All Food Is Trying To Kill Us?